Hope everyone had a Merry Christmas and a Happy Holiday. My family and I spent Christmas Eve going to evening mass and ended the night with a tamale dinner (YAY for South Texas cuisine). Earlier that morning I celebrated Christmas with my boyfriend and spent some much needed time catching up with his family. Eeek he got me a new camera lens (used in this post). 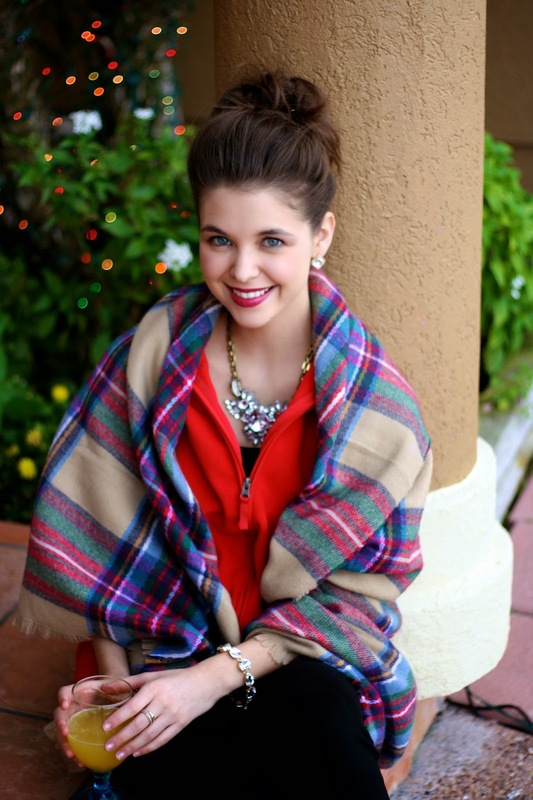 It's the Cannon 50mm and I am so excited to work on more style posts for you guys. I'm still trying to figure out/experiment with the functions on my camera, but I think this lens will be a great next step. If anyone has any pointers or suggestions, feel free to send them my way! Christmas morning my family cooked brunch at our house and I think we had one of the best batches of brioche bread yet! It's a family tradition of ours to make brioche (days before) to devour Christmas morning haha. It's quite the process, but sissy is picking up on it from Dad. My mom and I are the designated taste testers. We serve it with heaps of butter and orange marmalade. Delish. Another family tradition is morning PJs and fuzzy socks. My sister and I always have fun sock stocking stuffers and they are put to good use ALL year. 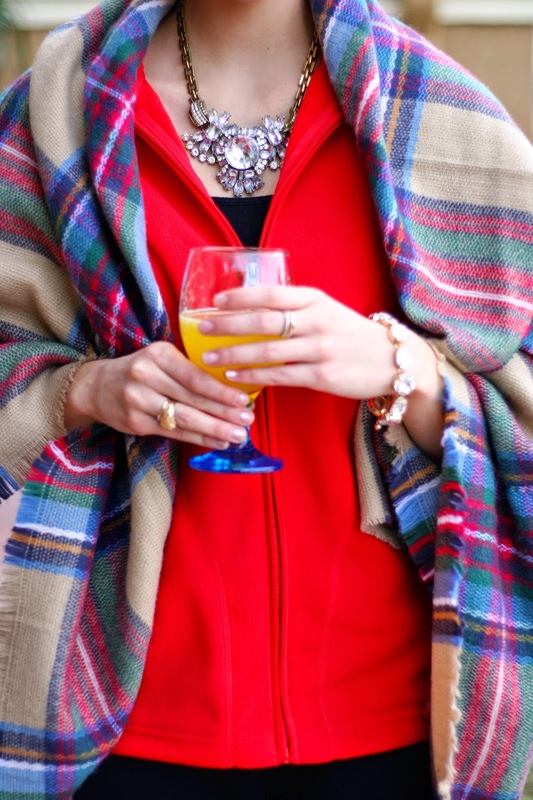 I decided to keep it cozy in a festive red fleece with my plaid blanket scarf...Morning Mimosa in hand, of course! Oh...AND SANTA CAME. lovely blog your dress was awesome for more wholesale bridal dresses please visit sexyher Dresses. 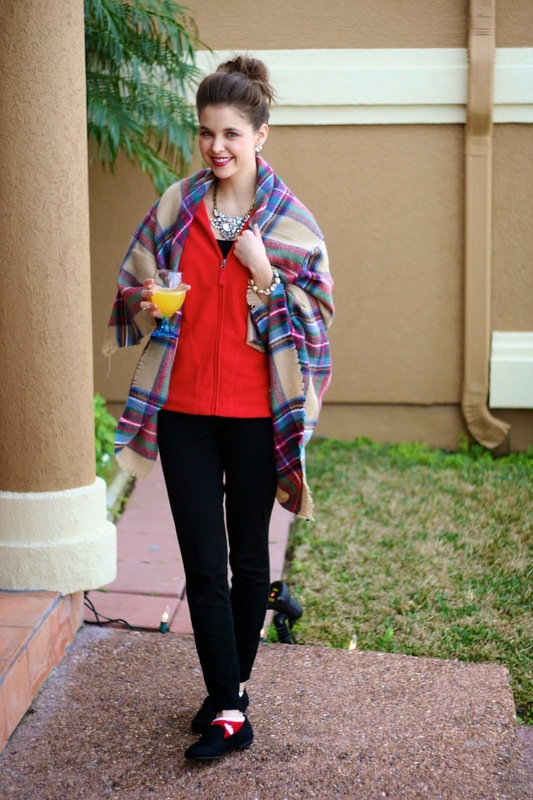 From pictures I've seen, it seems like any color will looks fab on your body. You have such a cute face. I want you try my dresses collection at tbdress.com.